I couldn’t resist those kitties! 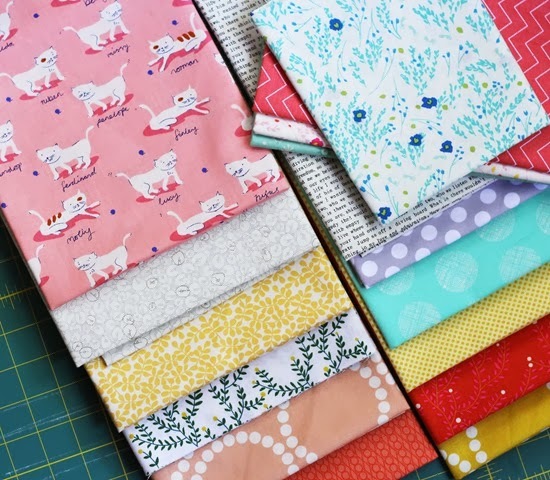 The fabric is Hello Petal by Aneela Hoey (I found some here), it’s so so cute! I made a baby wrap this week…I’d seen them pop up online and thought I’d give it a go. Sophie loves to wrap up her babies and maybe this will make it easier. I winged it and I think it turned out good…now we’ll see if she actually uses it! I blinked and 2 years went by. It’s amazing how that happens…she’s such a little joy. I like this idea…..need to store it away for my niece. Adorable. I'm sure that makes her day/week! Best wishes from Liv Iren,in the middle of Norway. You blinked and two years went by? I took a nap and lost a decade. Rip Van Winkle totally should have been a mom instead of a dude. 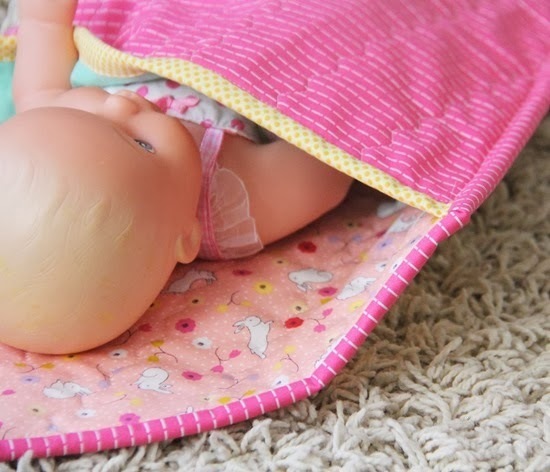 Your baby wrap is adorable, as is your no-longer-a-baby girl. Such a cutie! It flies by – enjoy every day with her! Thanks for sharing….peace. Baby wrap a great idea. And soooo cute and precious is the little one! 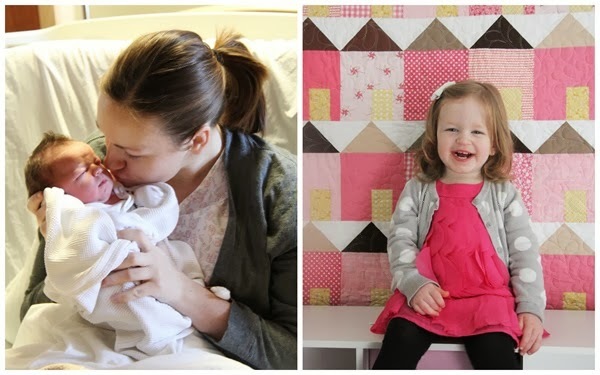 What an adorable little one- and a great wrap, too! cute project! and love those fabrics! 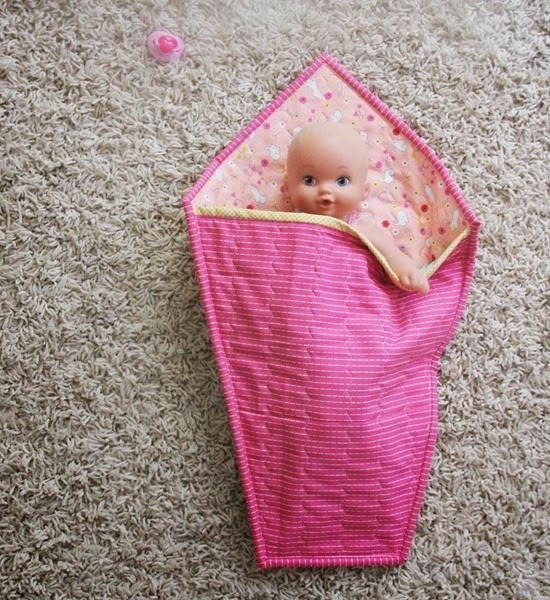 I love your doll project for your little girl, its so sweet! Can you give us the rough dimensions of that adorable baby wrap with some short instructions? My granddaughter would love one of those. Thanks! The kids are looking great! That is such a fun little project. the baby wrap is a great idea, and Sophie is so sweet!! You're right, that kitty fabric is just too cute! Super cute – both the baby wrap and your darlin girl. Lucky baby doll!